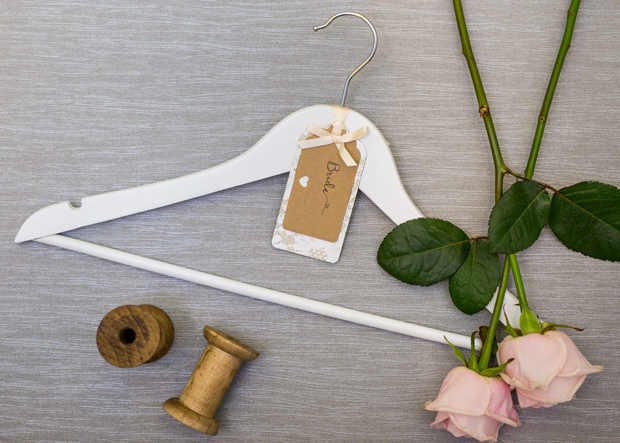 It can be the little things that really make your day extra special – some beautiful personalised hangers to pop your gúnas on, a cute sign for your flower girl or page boy to wave as you make your way up the aisle and a fun guest book to get everyone involved! It’s these little touches that will really add to and personalise your Big Day and you don’t have to go far to find them. Today we’re sharing 12 great Irish and online stores that can help make your day extra special whether you’re looking for a planning notebook to get you started, some cute bits for the hen, some pressies for the bridal party or some brilliant wedding decor to really spruce up your reception space. Happy shopping! If you’re after beautiful, personalised pieces for your Big Day, be sure to give Jazzy Creationz a visit. They specialise in wooden engraved and acrylic products and offer a bespoke, personalised service for couples with everything from hand-crafted wooden hangers and heart dropboxes (a gorge guest book alternative) to cute tags for your favours or flip flop baskets. They also have an amazing selection of personalised signs to make your ceremony and reception extra personal from cute ‘Here Comes the Bride’ styles to ‘Fresh Up’ bathroom basket signs. Check out their beautifully personalised goodies here! This online store has a base in Donegal too if you and the girls fancy a day trip and stocks everything from wedding dresses and bridesmaid dresses to accessories and some great little finds on the decor front. 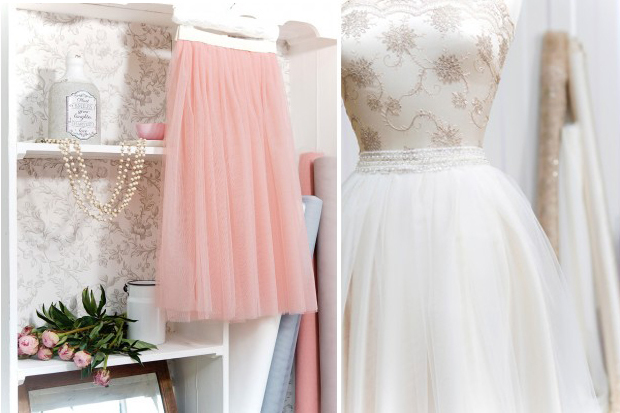 Pearls & Lace Bridal Boutique have lots of great pieces to help you put your stamp on your Big Day with everything from cute guests books and signs to balloons, ring dishes, confetti, pom poms and photo booth props for starters. They also stock hen party accessories if the girls are looking to kit you out! Check out their collection here. If you’re looking for supplies to make the hen party as special as you can get, be sure to stop by Irish online store Henworld.ie. 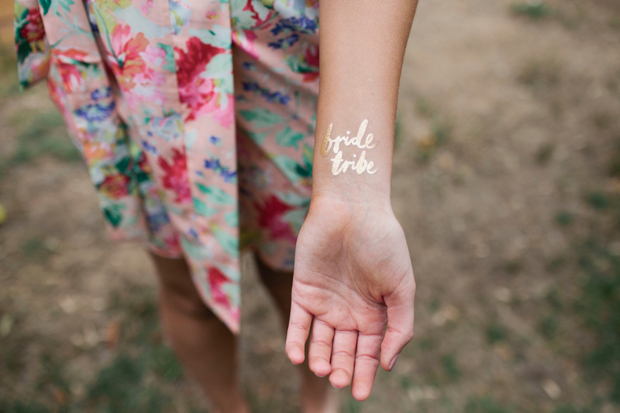 They have everything from gifts for the lady of the moment to cute sashes and personalised tees, fun accessories like gold foil Team Bride and Bride Tribe temporary tattoos, tiaras, inflatables and even cossies if you have a bit of a theme. And if you want to make your house or hotel room more hen-friendly, they’ve lots of cool decor buys too from confetti to cute napkins. Check out some awesome essentials you can buy here in our hen party accessories edit! If you’re on the hunt for bridal accessories and gifts, the treasure trove that is The Lovely Little Label should defo be on your hit list. They specialise in bridal jewellery and accessories from stunning statement earrings to pretty vintage inspired headpieces and combs. They also have a fab selection of wedding umbrellas and have great package deals as well. And if you’re looking to pick up a sweet thank you gift for your girls, you’ll find everything from cosmetic bags and jewellery to stylish slippers and robes your maids will love. Check them out here. 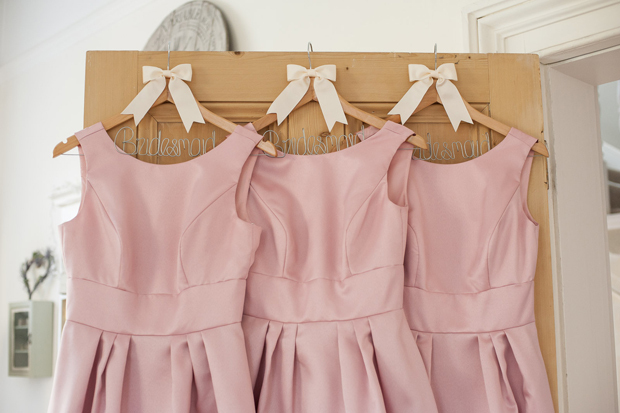 If you’re looking to showcase your beautiful wedding dress and bridesmaid gúnas, in all their glory, a gorgeous hanger is a must. And Akito Avalanche have a stunning collection of customised bridal hangers – they offer gorgeous embroidered lace, glamorous sequins or classic wood finishes with a handmade personalised label (they also sell kraft and glittery labels separately to add to your own hanger)! They’d make a gorgeous gift idea for the bridal party (they stock hangers for the lads too) and are a fab keepsake afterwards. Shop them here. If you love your glitz, you’ll be spoilt for choice over at Wedding Belles Bridal Accessories & Gifts. This online haven has everything you could possibly need to complete your bridal look including hair accessories, bridal belts, bags, garters and jewellery. They also have some super cute gift ideas (champagne glasses, countdown signs and hipflasks) as well as some fab wedding decor buys such as signs, favour bags and beautiful guests books. And if you’re worried about rain, you can pick up some lovely bridal brollies here too! Check them out here. 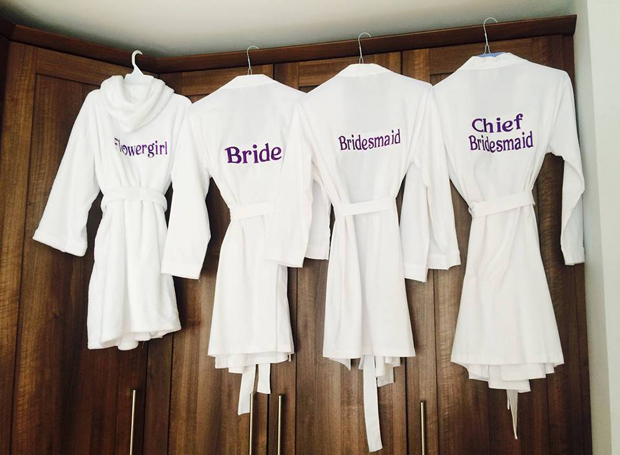 If you’re after a personalised gift for your other half for the wedding morning or want some sweet gifts for the bridal party, you’re sure to find something in this awesome personalised online store. 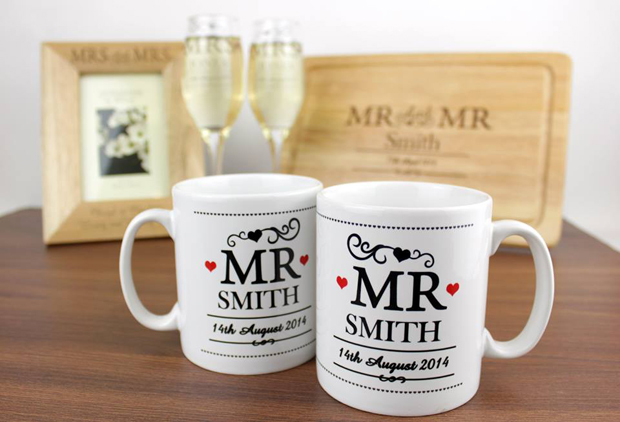 Name Your Gift have some brilliant gift ideas to suit every member of the bridal party including mugs, frames and glasses. And the best part – they’re made just for them so this thoughtful gesture will definitely be appreciated! Pop over to Name Your Gift here. If you’re after a beautiful family heirloom that will be treasured for years, Heraldic Gifts Ireland specialise in high quality brass plaques that displays both family’s coat of arms/family crests and the family’s recorded motto (plus you get the two family name histories on parchment). It would make a gorgeous gift and keepsake and will really add that personal touch on the day. This 100% Irish gift can be purchased for €85 (Price includes delivery to anywhere in Ireland within 14 days of order). Check them out here. If you’re looking to make your own wedding dress, bridesmaid dresses, flower girl gúnas or MOB ensemble, Hickeys Fabrics is the go-to spot for an incredible selection of fabrics and opulent trimmings. They’ve also got some fab fabrics that would work as table runners and backdrops and are a bit of a haven for craft lovers with the makings of invitations, crafting material for favours and jewels if you’re looking to put together some hair accessories. They’ve got some awesome decor in store as well if you’re looking to make your space that bit more personal. Check out Hickeys Fabrics here. 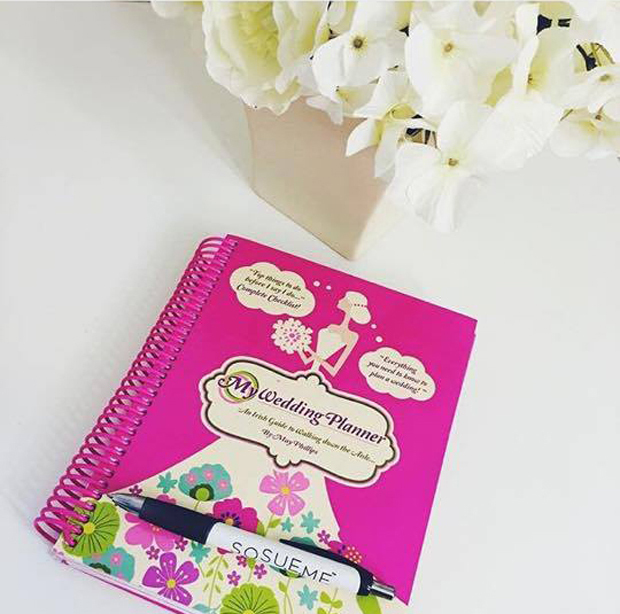 WowWee.ie has been on the wedding scene for 15 years offering couples beautiful gifts, cute wedding decor and gorgeous bridal robes – all with the wowwee factor! 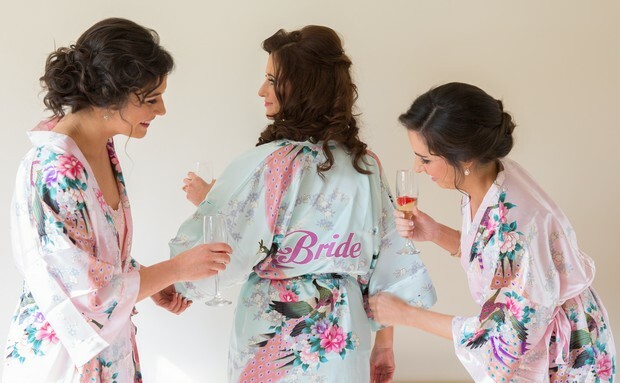 They have their own range of personalised bridal robes, both satin floral prints and cosy towelling robes as well as hoodies, personalised ring cushions, garters and bridal dolls. They also stock cute hen party goodies (t-shirts, sashes and totes) and have a lovely selection of gifts for the bridal party and the happy couple including mugs, cushions, glasses, ornaments and personalised hankies. Head over to WowWee.ie to shop the entire collection. If you’re looking for some cute finishing touches to make your morning extra special, pop over to Simply Personalised Embroidery. They offer beautifully embroidered gifts and clothing tailored to your specific needs including a variety of fab robes that can be personalised to perfection – they even have robes for the little ones. All their robes are made to order so you can have anything you wish embroidered onto them and they have matching slippers too! If you’re after gifts for the bridal party, you can also pick up personalised hoodies, socks for the guys and kids, hankies, tote bags and the cutest teddies! Visit their shop here.